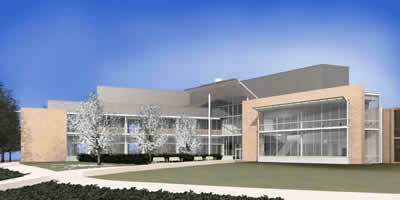 A 62,000 gross square foot addition and renovation of the Advanced Technology Laboratories building are planned. The addition will be two floors plus a penthouse for mechanical equipment and will consist of approximately 21,000 net square feet of space. The building will house instructional space, biomedical engineering labs and support space for research in molecular imaging, biomaterials, microfluidics, tissue engineering, neural engineering, biomolecular engineering and molecular electrophysiology. The renovated space will accommodate instructional space, offices, and common areas.